Ok, they say if you just write things down that you'll feel better and can get back to work. We'll see if that works. Yesterday I used the "hide" <friend> feature on Facebook and I'm torn over it. For me, the Facebook trend had become something I dreaded because of a particular person I know who doesn't seem to have a day job other than to FB troll every day - all day. You know the type of person I'm talking about. Not the regular person who occasionally drops an agenda-based-topic into their socially acceptable narcissistic stream of consciousness. I'm talking about the super activist whose only job is to dredge up nonsense, pre-spun statistics, so-called facts and bogus "news" which they feel is going to influence the overwhelmingly silent majority of Americans. In order to see what my other friends were up to, I'd have to wade through 6-12 other daily, inflammatory, repulsing posts from you-know-who, and after a year or so of doing this Facebook simply sickened me. The act of FB hiding is something I've been struggling with internally for months now. Most the people I've talked with say, 'yeah, it's fine to silence your friend, and you need to do it.' But I can't help but feel: what's the point in calling someone a friend if you can't stomach what they have to say. Hiding seems like a cop out - a lie to yourself. Coincidentally, my pastor said today, 'to outright reject every detail of what someone says without measuring its truthfulness is foolish and you'll be seen as an idiot.' While this applies to to all parties in a debate, what if only one side is being intellectually honest and reasonable? I suppose it's only reasonable to end that debate and walk away from the unhealthy conversation. I'm going to try it for a while and see how it goes. At least with hiding there is still some ability to participate in each others discussions, but I will definitely be mulling my decision over and may just pull the plug on the 'friendship'. I knew something like this could happen. It's one of the reasons why I've always been overly thoughtful about who I accept friend requests from. I don't generally think of my FB friends as simply co-workers or acquaintances. I consider them real friends (someone I could call on for help) and I want to keep it that way. Even before the full release of our newly rebuilt website, it seemed like we were constantly deploying daily/hourly updates from our sprints to several of servers (UAT, Staging, etc.)... so much so that, being a Lazy programmer, I stopped what I was doing one night and wrote quick WinForms app I call Simple Deploy. Now I can quickly deploy a set of files again-and-again to a set of servers with a simple button click -- not that I endorse having to do this -- but now I can be lazy. 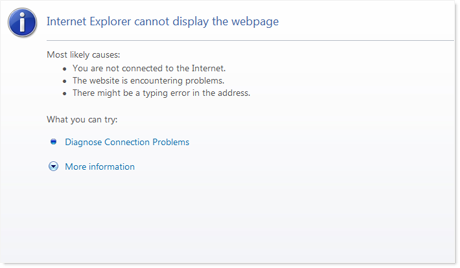 If I need to exclude a server, I just unclick the server's checkbox before pressing Deploy. I'm not sure yet, but I'm considering adding this into the RefreshCache swag bag if others think it's useful. We only made one announcement on the Arena community developer forum and we already have 19 registered attendees with two (and possibly three) of the top ten largest Christian churches in America attending. If you're looking to get plugged into the core of the Arena community developer team, the RefreshCache (RC) team is it. 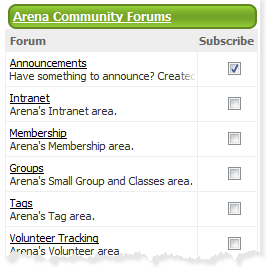 Arena <-> Planning Center Online (PCO) integration. Created by Jon and David over at CCV. Currently being tested by Austin at NCBC. 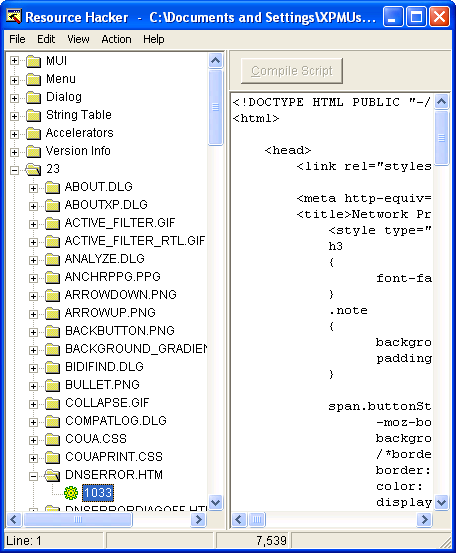 TinyMCE based Advanced HTML Editor. Created by Jason O at Central. CuFon Font Replacer. Use the CuFon font rendering engine instead of boring Arial, Verdana, etc on your website. Assembled by me. Promotions via XSLT. 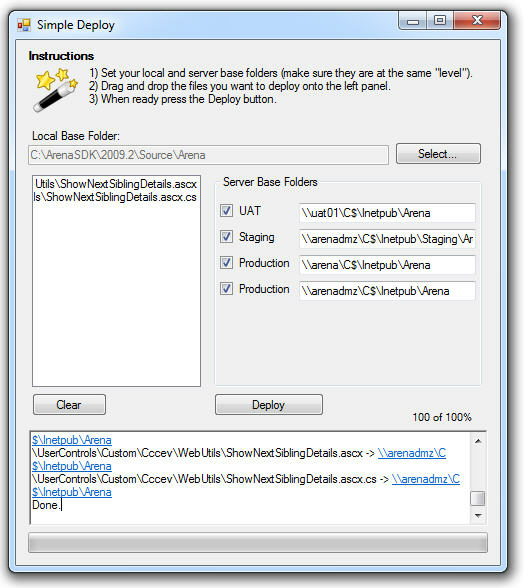 It can use a custom XSLT (for layout), inject style sheet, apply image effects, randomize, and cache. (The 'promotions' module to end all other promotion modules. I really hope you don't miss it -- register now. "Ignore this book at your own peril." -- Seth Godin said that about the book Rework by the founders of 37signals. Before I even finished it, I went and ordered two copies for some friends. Everyone will benefit from reading the book, but anyone who's writing software, is running a business, wants to start their own business, is a product manager, or is managing projects, really should stop whatever they are doing and take 2-4 hours to read this book. I've read a bunch of books on various topics over the past several years -- and while many of them are really good, I usually don't talk them up too much. This book is 99% meat and no fluff. I experienced so many of the things Jason and David write about but one in particular stands out to me. Meetings are toxic. Not all meetings, but most. When I worked at a very large Fortune 100 company, I remember getting pulled into meetings with hundreds (400-800) of others. If you take the average salary and compute the cost of this 800-1600 man hour meeting, you're in the $20,000-$50,000 range. As my old boss, Frank Dooris, used to say, "How many pagers does a sales guy have to sell to make up for that?" I could say so much more about this book. It describes much of what inspired us to start our own developer conference for the Arena ChMS community developers. We're giving this book to all attendees of this year's RefreshCache conference. I hope you or your developers can come. We all end up hurting if you don't make it to the event, but ultimately you'll be missing out the most. Have I mentioned how much I love Arena? Here's why - because it can do almost anything you need it to. Let me illustrate with a small example. I recently heard someone say 'oh, Arena can't do that yet' on the topic of integrating twitter with our website. Not true. There's no need to wait for a future of release of Arena. You can easily add your favorite tweets to an Arena powered website using the XML File Transformation module. Here's how to do it in three simple steps. 1) Publish an XSLT file that transforms a Twitter RSS feed to suit your website's layout, look and feel. I've included mine below which you can reuse or modify as you see fit. 2) Add the XML File Transformation module to a page. An "expert" may cringe at what I've done in there, but I really don't care. I mostly care about the end result. ...into this. Here's a close up of the final product. Wow, what a week**. Based on the feedback we heard or saw (Josh, tweets), some blog posts we read (Joel, Brian), as well as Jason and my own observations, we can now say RefreshCache was a total success! While each person had their favorite part, I think we're all in agreement when I say we came together because of our passion for using software technology to grow the Kingdom of God. Each of us wants to make a difference for the kingdom and we want to use our skills to create software. Ultimately RefreshCache was a seed; a realization that we are not limited by the speed of a vendor (as is the case with most other ChMS systems) and a kick start to working together as a community throughout the whole year. Getting to hang out with Daniel Hazelbaker from HDC and chat about check-in, subversion, CodePlex, branching, etc. You should see the Arena WS API he created! Having time to work in Visual Studio with Austin Spooner from NCBC. Austin is Mr. Answer Man when it comes to Arena modules. Having time to talk about open source and Typo3 with Brian Slezak from COR. We're lucky to have someone with Brian's experience on our team. Getting owned by David Turner in a few rounds of Halo ODST and learning about the Voracity Solutions package installer. This guy is skilled with Visual Studio and the Rocket Launcher. Getting to see the work of Tom Powers, Josh Martin, and Maxim Strelsov from Southeast Christian. These guys are pretty new to Arena but they're already creating great stuff. I can't wait to see what they tackle next. Talking with Joel Lingenfelter from HDC about coffee and all things ChMS. He has to be the most gifted CFO I've ever met! Chatting with Michael Speers and Eric Byrd from Shadow Mountain. Thanks to their questions, they spurred on a mini "check out the features right under your nose" session. Getting to hear from Central's own Jason Offutt on JSON, SOA, and jQuery. Jason's an engineer and an artist! Listening to CCV's Jeff Schinella on Semantic Web, CSS and XSLT. We all need to put his lesson into action. Hearing Jon's closing presentation on "Life After Features" some of which is touched on in his blog. and David's blog on eRA. Jon is a visionary and always seems to be 2 steps ahead of everyone. 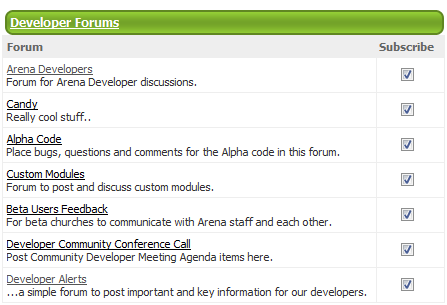 For you Arena community developers who missed this year's event, you need to join us on IRC channel #ArenaChMS if you want to plug into this group of guys. Like I said at R.C., we are all going to see the rediscovery of Internet Relay Chat once the Google Wave hits -- albeit in a newer, easier to use form. 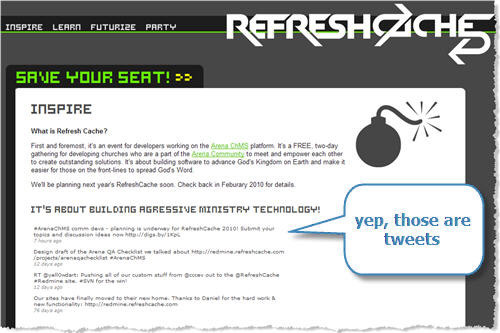 To correct the record, I'd say that Mark Miller was the actual inspiration for RefreshCache. Mark is a creative cinematographer/director genius and due to unforeseen events he had to bow out from the planning of RefreshCache early this summer. Hopefully we'll have someone of his caliber to kick next year's RefreshCache into the event-execution stratosphere. Also thanks to Mark we have the only clear picture at RefreshCache (showing a handful of people). Lastly, I just want to publically thank Kim Musgrave, Liz (my wife) and especially Jason Offutt who picked up the tasks when we lost Mark Miller, because without him RefreshCache 09 would not have happened. ** For anyone that though I was kidding, I crashed at 7pm on Thursday night and slept for 13 hours. Rats! It should have worked. My @topN parameter is properly defined as a Report Parameter of type Integer with a default value of 20. Looking around I found a lot of complicated ways around the issue some of them involving creating dynamic statements and such like this one (link). 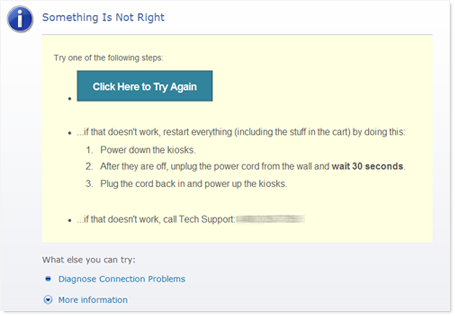 Way too complicated for me and I hate dynamic SQL -- I just say NO.